"We have great concerns about the future survival of this unique species," says project leader Professor Richard Kingsford, director of the UNSW Centre for Ecosystem Science. "The national risk assessment has suggested declines of up to 30 percent across its range since European settlement, with localised declines and extinctions increasingly reported. "Synergistic threats to platypus populations include river regulation and flow disruption, increasing agricultural land use, pollution, and the capture of platypus in fishing and yabby nets, all of which are contributing to these declines across its range," he says. UNSW researcher Dr. Gilad Bino has been working to assess differences in population numbers and viability of the species throughout its range, which will enable appropriate conservation actions. "Our national survey shows great variability in platypus numbers throughout their range in eastern Australia," says Dr. Bino. 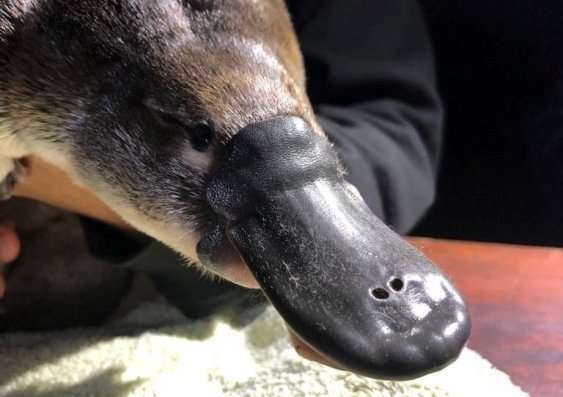 "On degraded rivers, typically below dams and in regions of high agricultural land use, we generally see lower numbers of platypus, likely due to the impacts these threats have on bank erosion and availability of macroinvertebrate food sources," he says. "Previously we've had no information on historical platypus abundances and without this baseline reference we become misinformed about what a normal abundance is," says Tahneal Hawke, a Ph.D. candidate at UNSW. "This shift in our perception is particularly important for such a cryptic animal. Given sightings are rare, people perceive captures or sightings of just a few platypuses to be indicative of a healthy population, while historical records suggest numbers far exceeded our current observations," she says.